What a great way to find lists of book reviews for every grade! My contribution for the linky is for Grades 7 and 8. 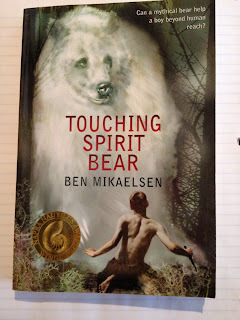 A colleague suggested Touching Spirit Bear by Ben Mikaelsen as a read-aloud for these grades and it is an amazing book. The main character is Cole, a fifteen year old boy who has been stealing, and fighting for years. After almost beating a boy to death and causing severe brain damage, Cole has to choose between going to jail and Native American Circle Justice. Choosing the Circle Justice, Cole is banished to a remote Alaskan island where he is completely isolated and must learn to survive on his own. Mauled by a mysterious white bear, Cole nearly dies. The attack changes his life forever. As I read this novel, I knew right away that it will be a huge hit with my students (eventually). So, I went browsing on the Internet for some teaching resources on the novel, and I was so excited to find an entire novel study for Touching Spirit Bear for FREE! It includes pre-reading activities that explain what Circle Justice is, character descriptions, handouts and questions and activities for each chapter (with answer keys). Love it! 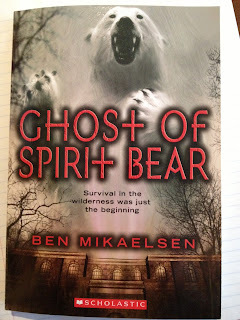 Touching Spirit Bear has a sequel called The Ghost of Spirit Bear. Although I didn't enjoy that book as much as the first one, it's also a very good read for pre-teens or teenagers. Cole is now back home and back at school after his year-long exile on the remote island. Gangs and violence play a huge role at the high school he goes to and Cole must face the rage buried deep down in him once again. It deals a lot more with bullying and intimidation. 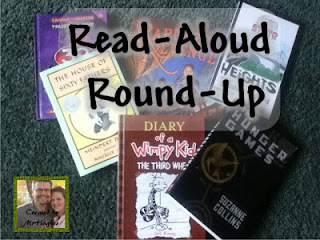 Do you have any great read-alouds that you'd like to share with the teaching world? Head on over to link up! :( The page (link) doesn't exist -- help! Are you able to share the freebies with me via my school email? I have fixed the link, but just in case, here it is again. I'm thinking of reading this to my sixth graders next semester. I haven't quite decided on that yet, but I think it might be one they'd enjoy. Thanks for sharing!